SBR elastomers are the most widely used rubbers due to their low price and easy/wide availability. Their properties are similar to those of natural rubber, which is why they are used in similar environments. SBR elastomers are more resistant to abrasion and ozone than natural rubber. 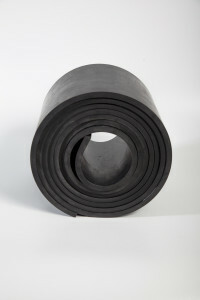 SBR rubber is resistant to temperatures from -20° to +70°C. Because SBR rubber is resistant to abrasion, it is used to make details for extremely demanding conditions, such as railroad crossings and conveyor belts.